What is an Oklahoma Lawyer? A Oklahoma lawyer is an attorney who is barred in the state of Oklahoma and is permitted to practice law within the state. In order to be an Oklahoma lawyer an individual must have graduated from an accredited law school within the United States or have done comparable training that meets the standard requirement of the The Oklahoma Bar Association. In order to be barred in the state of Oklahoma an Oklahoma lawyer must have passed the bar exam, the MPRE and have passed the character and fitness evaluation performed by the state. In addition to passing the bar exam, an Oklahoma lawyer applicant must pass the Multi-State Professional Responsibility Exam, or MPRE. The MPRE is a standardized 60 multiple choice question exam that gauges an applicants ability to understand and implement ethical situations dealing with the practice of law. The questions encompass areas including fees, advertising, privileges, disclosure and a number of other issues that examine the applicants ability to practice law. Oklahoma requires a passing score of 75 in order to become an Oklahoma Lawyer barred in the state. The final step to becoming a Oklahoma Lawyer is to meet the character and fitness qualifications of the Oklahoma Bar Association. 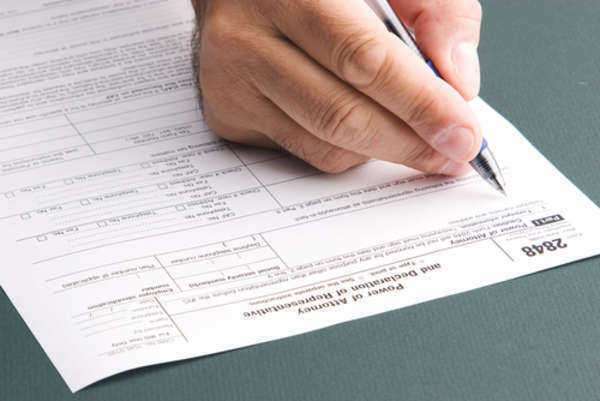 Due to the high position of responsibility that comes with the privilege of practicing law each state requires an individual to submit a character and fitness form that is evaluated by a state commission. This form will consist of all relevant information that will enable the bar association to investigate the applicant and determine whether they are worthy of the ability to practice law. The bar association will ask for all relevant information including criminal record, previous addresses, educational background and military service. The character and fitness commission will also request fingerprinting and official transcripts from educational institutions. As a Oklahoma Lawyer, an individual is held to higher standard of conduct because of the ability of an attorney to take advantage of those individuals who are not familiar with the law. Oklahoma has reciprocity with 29 other states in the Union including New York and California. In order to be able to practice law without having taken the Oklahoma Bar Exam an applicant for admission to become an Oklahoma Lawyer must be actively practicing law in another state continuously for 5-7 years in addition to having had a passing score of 75 on the MPRE exam. Where can I find if an Oklahoma Lawyer is in good standing? There are currently 16,700 Oklahoma Lawyers in good standing in the state. If you are contemplating hiring an Oklahoma Lawyer it is best to do your own homework first. You will want to make sure that the Oklahoma Lawyer who is going to represent you is properly licensed and in good standing in the state. If you want to find information on the standing of a Oklahoma Lawyer you should go to the Oklahoma Bar Associations website at www.okbar.org. You can also search by using the Oklahoma Bar Associations directory at www.oklahomafindalawyer.com. There you will be able to search for Oklahoma lawyers by contact information, location or area of practice. By going to the website you should be able to uncover any information concerning the Oklahoma lawyers ability to practice law and any disciplinary actions pertaining to the Oklahoma Lawyer. The Oklahoma Bar Association also provides a “lawyer and legal fees” brochure to help you determine when and why you will need an Oklahoma Lawyer as well as what fees to expect. The brochure can be requested through the Oklahoma Bar Associations website. How do I report Disciplinary Action against Oklahoma Lawyers? Disciplinary actions against Oklahoma Lawyers are serious matters. Oklahoma Lawyers are responsible for upholding the ethical and legal aspects of the profession on a 24/7 basis. If a Oklahoma lawyer is not upholding his ethical responsibilities or is deficient in his or her ability to represent you then that matter should be brought to the attention of the Oklahoma Bar Association. You must file a complaint against an Oklahoma lawyer directly, and in writing, to the Oklahoma Bar Association Office of Bar Counsel. Your complaint should include: the name of the Oklahoma lawyer; description of the case the lawyer was involved in; chronological timeline of events leading to the belief that disciplinary charges were necessary; copies of documents pertinent to the complaint; names of witnesses and other parties; and the name and address of the complainant. If the Office of Bar Counsel, after concluding its investigation, feels that the allegations are credible then they will prosecute the Oklahoma Lawyer for disciplinary sanctions. At all times from the beginning of an investigation up to the prosecution for disciplinary action by the Office of Bar Counsel the matter is confidential. It is important to know that when you file disciplinary actions against an Oklahoma lawyer you may be waiving your attorney/client privilege to certain matters involving the disciplinary action. What questions should I ask a Oklahoma Lawyer? ■	Are you barred in the state of Oklahoma? If you have been charged with a crime, are seeking compensation for an injury, are getting a divorce, or any other matter involving the court system you should get a lawyer. Oklahoma lawyers are attorneys barred in the State of Oklahoma who are in good standing and approved by the Oklahoma Bar Association. You can only practice law in Oklahoma if you are barred by the state, admitted pro hoc vice or you have practiced law in a state that has reciprocity with Oklahoma. Lawyers practicing in Oklahoma must maintain good standing and uphold the ethical and moral standards of the profession. If you are seeking an OK lawyer you have many options in finding the right representation for you. The Oklahoma Bar Association has a OK lawyer directory in which an individual can search through a database for an OK lawyer in their area. The website provides searches based on practice area, city, county, and last name. In addition the Oklahoma Bar Association provides a referral service. The service will inform you of barred OK lawyers in your area that may fit your needs. At that point it is up to you to call and meet with the OK lawyer. For a $25 fee an OK lawyer referred by the service will meet with you for an initial consultation for a half hour. Lawyers in Oklahoma must pass the Oklahoma State Bar Examination which is a state wide exam. The exam takes 2 days with the first day encompassing 6 30 minute essay questions and the second day is the Multi-State Bar Exam. In addition Lawyers in Oklahoma must have a passing grade of 75 on the Multi-State Professional Responsibility Exam. Oklahoma also has reciprocity with 28 states and the District of Columbia so that individuals who have practiced law continuously in another state for 5 - 7 years may apply for admission to become Lawyers in Oklahoma even without taking the Oklahoma bar exam.